NYC is the perfect place to people watch. With a dense population of people who are always busy, and always seemingly headed to their most important appointment, you can stand, almost invisible to those around you, and watch what people do. And on the train, you can see people fight each other to get into a subway car to try to find a seat. They (we, because I do it too) usually sit, not because they’re wearing high heeled shoes and need to rest their aching feet. Not because they are carrying lots of heavy bags that are threatening do beak their arms off if they don’t put them down. Not because they’re carrying a baby. 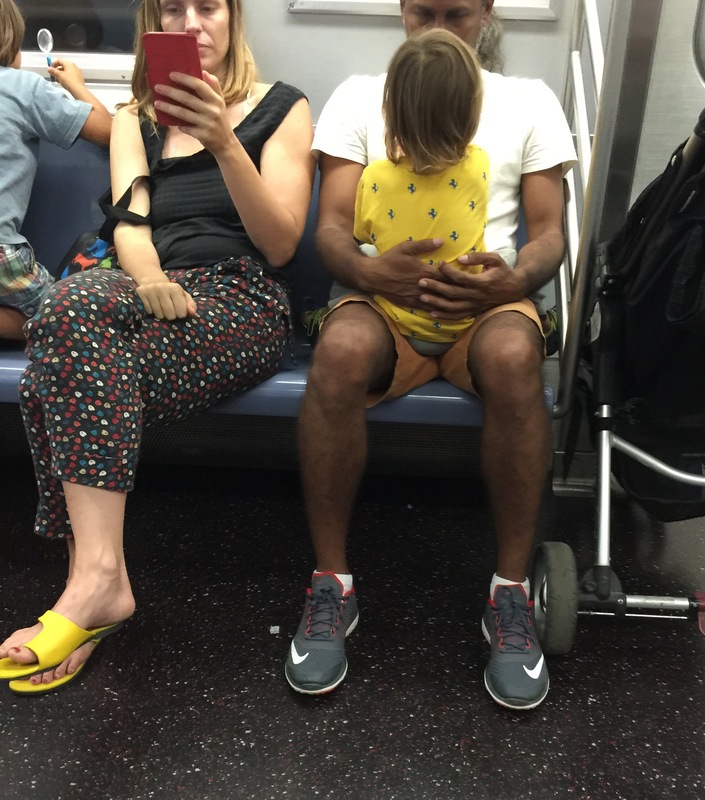 Just because there’s an available seat and they want to find it so they can sit down. Why walk when you can run? Why sit when you can stand? 1. Weight-loss potential: Studies reveal that standing instead of sitting helps you burn more calories – up to 50 more calories per hour when standing, instead of sitting. Trading your eight hour sitting at a desk for a stand-up desk could help you torch an additional 400 calories, all before you hit the gym. 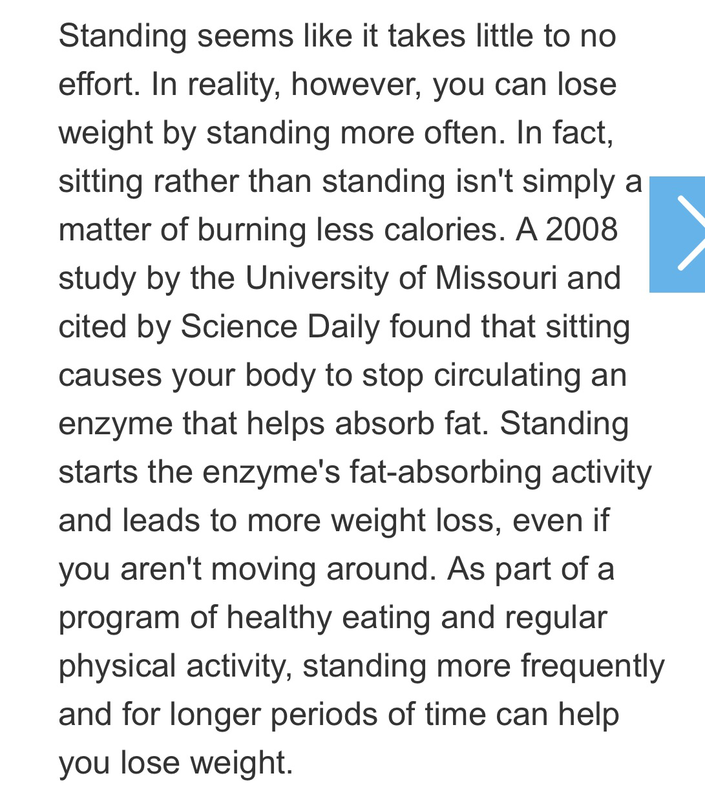 Turns out your body releases a hormone when you’re standing, that just isn’t released when you sit. 4. Posture: Sitting compresses the spine and tightening the muscles. No wonder sometimes you get up from sitting with a backache! Of course, there are people using standing desks. And you can choose to buy one, like this Adjustable-Height Stand Up Desk with Monitor Mount or this Traveler Folding Stand Up Desk option that allows you to manipulate your workspace wherever you are. Of course, if you’re handy, you can also make a DIY adaptation yourself. But even if you don’t use a standing desk at work, I bet there are several hours a day that you spend sitting on the train or bus, sitting to chat at lunch, sitting on the couch to unwind at the end of the day. 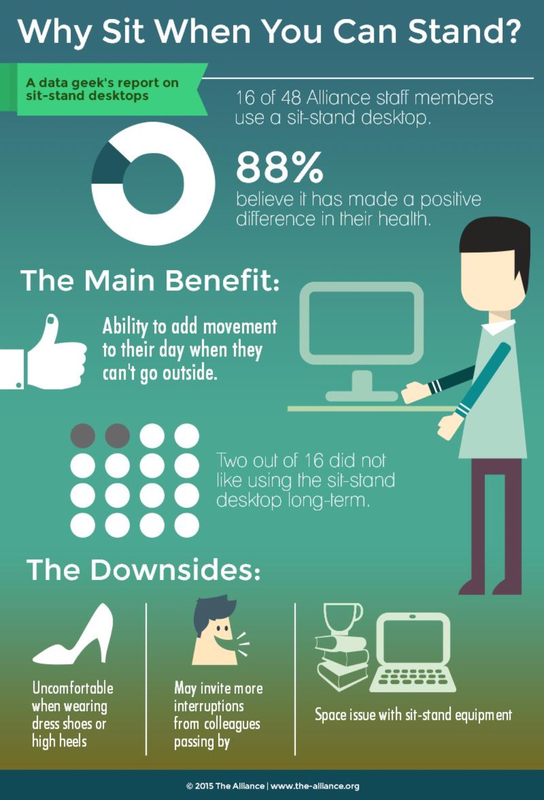 Have you heard the dangers of sitting for extended periods? Would you consider standing at work? Note: This post contains Amazon affiliate links so I make a small commission if you make a purchase from clicking these links. Thanks for the support. I’d love a stand-up desk at work, a few of my coworkers have them for medical reasons and they said they make a HUGE difference!! I have started to stand for part of my day at work – not all day, but even a few hours makes me feel so much better! That’s terrific. I’m sure there are many benefits, even if you don’t notice them all right away, it’s better for your long term health too. This is great! I guess Ill find myself standing a lot more. Its the little things that matter and count and I need to remember that! I have to be aware of it too. When I’m home, I find myself sitting a lot. Good for you! 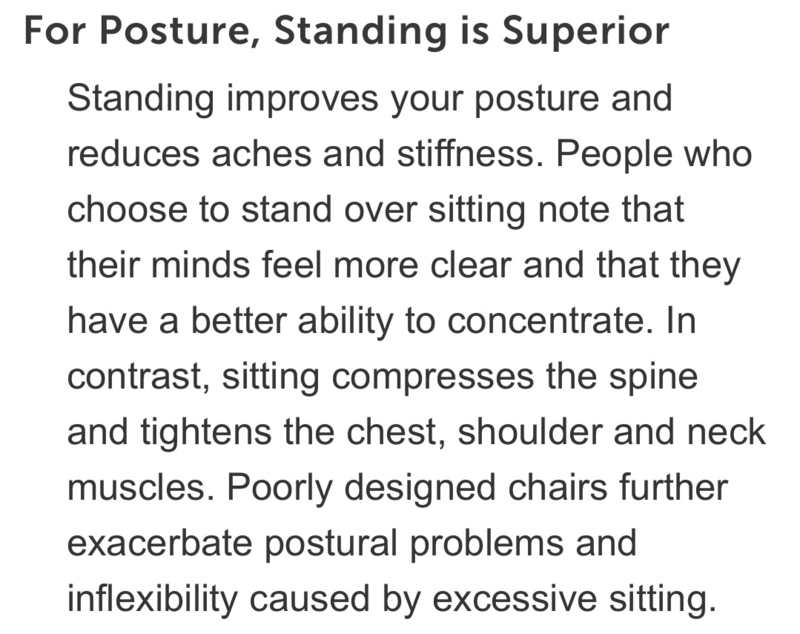 Yes, active sitting is better than just standing around. Biking is great cardio! And it’s more fun than taking the train.